John Angelo considers himself a famous unknown freelance writer. 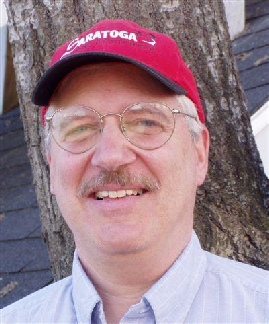 His work has appeared in local and national publications as varied as Writer’s Digest, Publisher’s Weekly, The New Hampshire Business Review, and American Bookseller. He once won a $500 prize for the best essay on the theme “Bookselling and the Art of Sanity Maintenance,” a contest designed to promote Natalie Goldberg’s best-selling book Writing Down the Bones. He considers humor and sports writing his personal daily double. He currently works as a special education assistant in a public high sch ool and has also worked with teens at risk, with developmentally challenged adults, and with Easter Seals. Somewhere over the rainbow is a non-fiction book detailing the 38 (last count) jobs he has had over his 57 years. He is an avid reader and currently sells books online. Read and release. Angelo’s personal interests include voluntary simplicity, Buddhism, environmental work, performing standup comedy, and the stock market. Obsessive-compulsive disorder first affected his life seriously when he was in college. He was referred to a Freudian analyst by his family M.D. This was akin to Richard Nixon suggesting dinner at the Watergate Hotel. Many years later, both he and the medical profession know much more about OCD and Leslie, his Medicine Woman, has been especially helpful. Angelo lives in New Hampshire with his wife Lorrie, an ankle-biting Pomeranian named Nikko, and two excessively well-fed cats. Angelo also has Restless Leg Syndrome, another family trait. He often has dreams that he is competing in pro sporting events. To this point in his career, he has won two Super Bowls, a World Series with the New York Mets, and the Kentucky Derby aboard a Horse With No Name.